Self Storage Marketing | What We Offer | Automatit Inc.
Self storage is very similar and often viewed as a commodity by the public. We understand that although your self storage business is very similar to others in many ways, you still have a certain uniqueness and subtleties that can give you a competitive edge. That's why we let you pick and choose what is important to your specific needs to aid in marketing your self storage units. We also offer discounts if you bundle them together. Why would you spend money on marketing if you don't know what is working? We can help you track leads and concentrate on the 4 c's. Clicks, Calls, Conversion & Cost will tell you the real story! SEO isn't what it used to be. The days of meta fairy dust are gone. If we are being honest here, real SEO isn't just the on-page stuff everyone currently talks about; it is understanding that Google knows more than ever before, and they want to satisfy their customer. The Google Rank Brain is allowing them to understand when a customer is satisfied with a website and then ranks the websites based on who is satisfying more customers. That said, we only deploy the latest best practices for Search Engine Optimization and work feverishly on giving your customers the best user experience possible. ADA (Americans with Disabilities Act) standards are also a big part of what is important to Google as it should be. A great user experience should be had by everyone regardless of your situation. Our developers work to ensure that no matter what the situation, your website visitors will have a superior user experience which will increase your organic rank. PPC as it is often called, is where you find new customers. Organic results are great, but they are a long-term strategy with shrinking pieces of the web traffic pie. Our team creates a stream of new customers which can happen very quickly. When it comes to paid search, there are basically 2 ends of the spectrum. Focus on having your ads show and dominate the impression share or focus on a low cost per conversion strategy. Both ways can be successful and through our proven strategy and ability to track important metrics, we can find the right plan to help you generate more revenue at a cost that is right for you. That is not to be interpreted to say you can dictate the price you pay, that is done in the marketplace by your peer group of other facility owners. We can find where you fit in to that marketplace and your need to generate a volume of rentals. There are also other paid media to consider. Remarketing is more brand awareness strategy where you pay by impression. This can be a great way to keep you top of mind of your potential customers. Our Call Tracking platform can identify which marketing channels generate sales calls and give you incredible insight to help make better decisions. Call recordings, IVRs, and transcriptions are all ways you can see inside the interactions between potential customers and your customer-facing team member. Good call tracking can help measure website and operational performance. Block spam calls with our Clean Call technology and reinvest in media that captures new buyers or sellers instead of existing clients making service calls. Improve employee training based on call transcriptions. Measure the success of promotions and your agents' performance to multiply appointments. Google. Google Maps. Amazon Alexa. Apple Maps. Facebook. Bing. Yahoo. Yelp. It doesn't matter which map, app, voice assistant, search engine, GPS system, or social network consumers use to find and engage with your business. What matters is that they discover accurate, complete, and compelling information at every turn. Having your local information data across the web is crucial in today's world. Our local listing program suppresses duplicate listings, locks in listings so they can't be tampered with or hijacked and keeps your listings up to date and consistent. By utilizing our team, you can update special offers, photos, office hours, staff bios, business description and services to be posted. Our Local Listings team will ensure your business information has the highest integrity possible in an ever-changing environment. This is not to say that it will be perfect all of the time as content is published non-stop, but if you try to do this yourself it will be a disaster. Reviews matter - 90% of consumers use them to decide where to take their business. So, what are people saying about you online? That is something you should never not be able to answer. Your star rating is your reputation and Google and your potential customers view it as a major deciding factor on whether or not you are a good choice. Google says in the top 6 actually. We can help monitor and notify you of anything that might hurt your reputation, so you can be sure to respond quickly and hopefully turn a potential problem into a happy customer. Remember, a fast response to customer feedback in online reviews builds local advocacy and trust. Our team will ensure your reviews are accurate and representative with an integrated Online Reputation Management platform because more and better reviews drive higher rankings for your locations and more business. 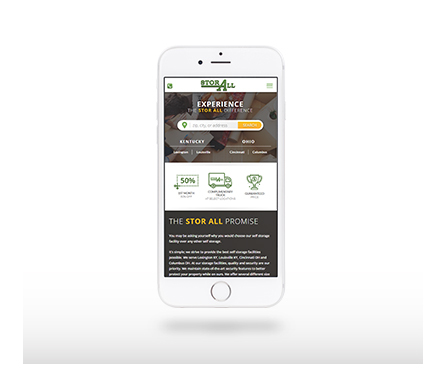 You don't need a mobile site to get a better return on investment! This type of design is flexible. Provides an excellent user experience. What's your value proposition? Tell your story through Branding! What is Branding? 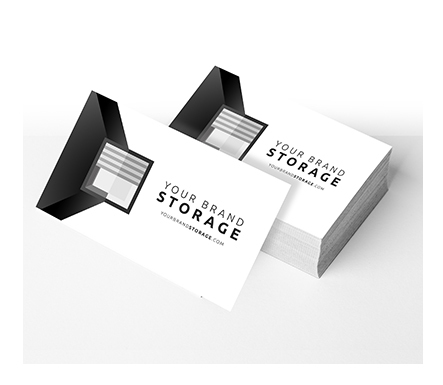 Branding is creating an identity for your self storage facility or company. You want to make sure this identity is being formed the right way because it's hard to change your identity once it's created. This makes Branding that much more important. Your marketing company should be 'telling a story' of your brand through different avenues. The internet is going mobile, it's time to go with it or get left behind! 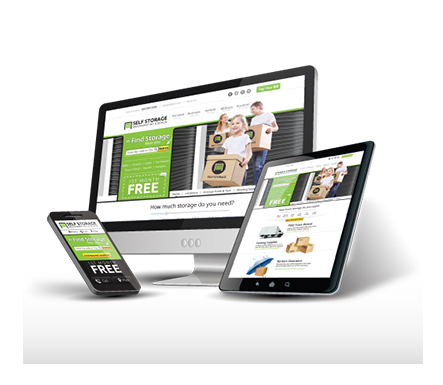 Whether it is your marketing program or your website itself, you need to be optimizing for mobile. At the end of the day we can conclude that mobile users are just different than desktop users. There are different tendencies that we can expect from mobile users that can result in more conversions or reservations for you.